It's officially spring y'all and we are all pretty ecstatic about it! These last few months have been gloomy and overcast around these parts and it's restored some our energy to feel the sunshine again, for sure. My favorite part of Spring, aside from Easter and Spring Break, of course, are the amazing patches of vibrant wildflowers that are popping up all over the place now. 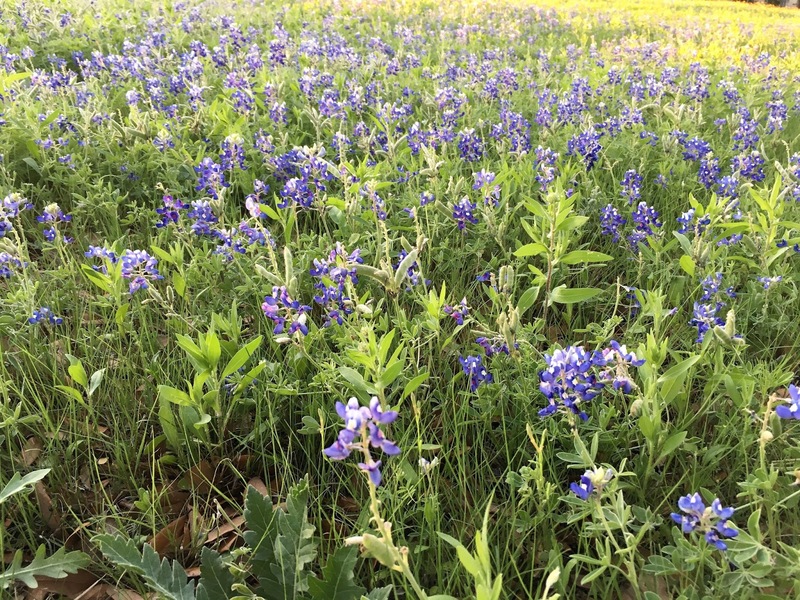 Here in Texas the famously large patches of our state flower, the Bluebonnet, are being visited regularly by people wanting to take photos showcasing the gorgeous natural backdrop the flowers provide. Here in our own yard, the grass is lush and green (thank you crazy, scary Spring thunderstorms! ), our big trees are coming back to life, and my flowering shrubs and rose bushes are bursting with color. Being outside is our favorite place always, but the vivid colors of Spring are most definitely a bonus feast for the eyes lately. With so much inspiration to be taken from nature at the moment, I definitely feel motivated to start creating meals that are looking a lot lighter and brighter too. Lately, I've been loving mixed salads and having loads of fresh, leafy greens on my plate. This hearts of palm salad with homemade honey-Dijon vinaigrette is chock-full of bright colors, crisp, healthy veggies and delicious flavors. We've enjoyed it for lunch a few times in the last week and if we've had any left over vinaigrette, it's been used up as a drizzle of dressing inside some ham and cheese tortilla-wrap sandwiches that we've been hooked on lately too. Those wraps have been absolutely stuffed with leafy greens too, just f.y.i. We're seriously digging the rabbit food right now! 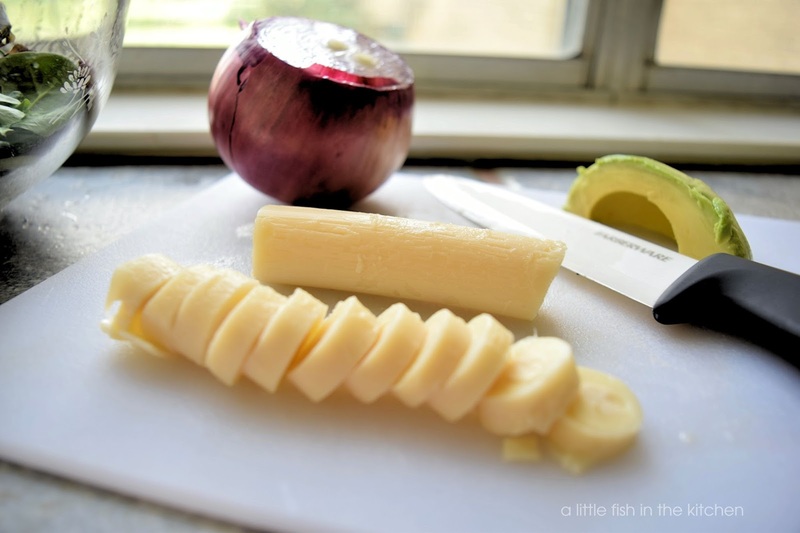 If you are unfamiliar with hearts of palm, I think you're in for a treat if you try them. They have a terrific, mild, earthy flavor that is incredibly similar to artichokes and asparagus. They are the harvested inner core of the Cabbage Palm tree and are commonly imported to the U.S. from Brazil, Costa Rica, Ecuador and a few other South American countries. There are a few delicious ways to cook with them, but I enjoy eating them in my salads. 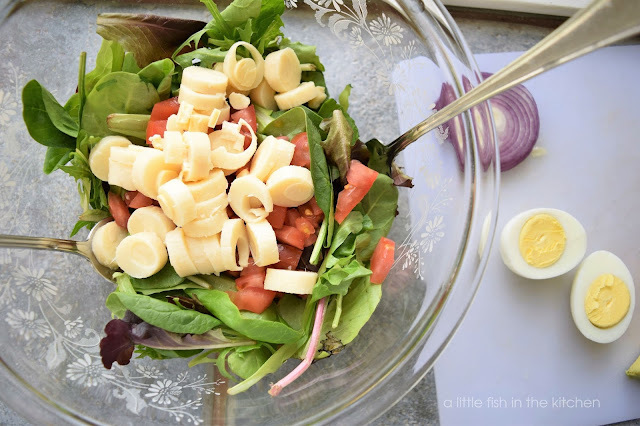 Hearts of palm are good sources of folate, potassium, Vitamin C, calcium, iron, magnesium, fiber and a few other nutrients too. When they are packaged for sale, they are brined and pasteurized to ensure a healthy shelf life. So, I usually just give them a quick rinse and a pat-down dry with paper towels before I use them to reduce the sodium content a little bit. Here's just a few pics of some of those pretty wildflower patches I wrote about. We came across these near our house during our evening walk yesterday! I'll also be making a glazed ham and some homemade skillet dinner rolls that we can't get enough of lately too. That dinner roll recipe will be posted very soon, so stay tuned, y'all! Since we've been on such a salad kick, I recently ordered this gorgeous wooden salad bowl set. It should be here in time to use for serving Easter lunch and I can't wait to receive it! Here's the link, in case you'd like to order your own! 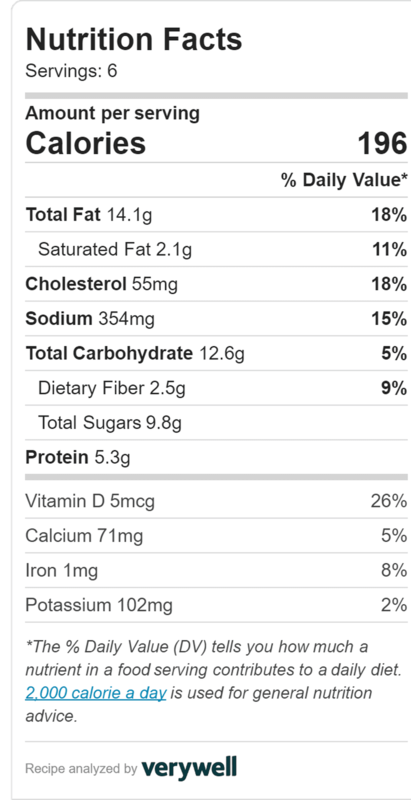 Nutrition information provided in post came from the SELF Nutrition Data website. 1. Make the vinaigrette by whisking the first 6 ingredients together in a small bowl, adjust seasoning to taste, cover and set aside. 2. Place the salad green in large mixing bowl with the sliced hearts of palm and tomato bits and gently toss veggies to mix. Separate salad onto individual serving plates and top with sliced onion, avocado bits, chopped hard-boiled eggs and a drizzle of honey-Dijon vinaigrette, as desired. 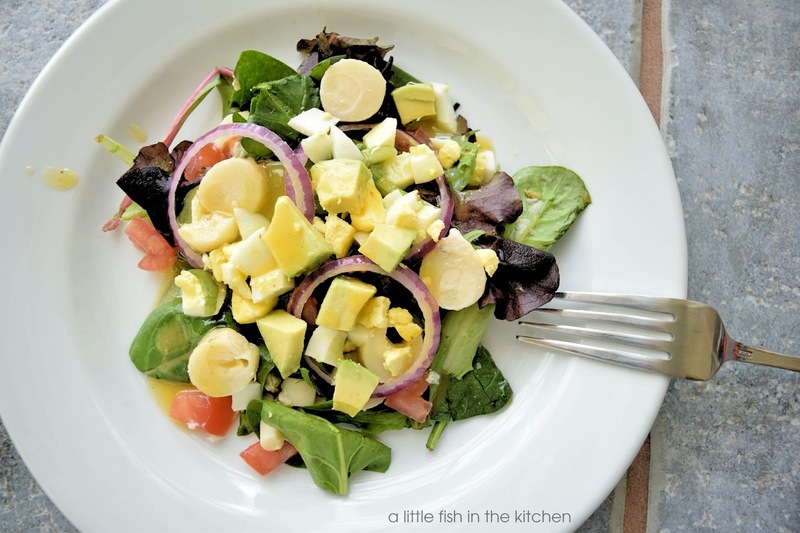 What a great spring salad! 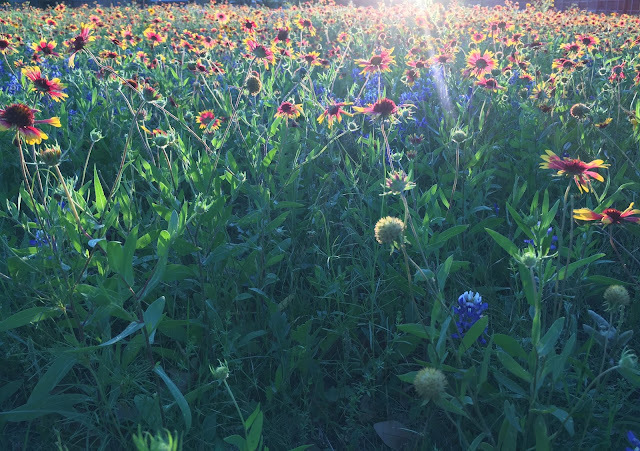 I love those wild flowers...full of life and beautiful! Happy Spring, Marcelle! Yes, bananas would have been weird!! 😂 Thank you, David! Happy Easter to you and Mark! I wish it felt more like spring here. I am definitely eating like spring, so I guess that's something. I hope it warms up soon for y’all, Laura!! i've seen hearts of palm as an ingredient in salads at restaurants, but i'm pretty sure i've never eaten it and i DEFINITELY didn't know what it looked like! very festive salad! This looks excellent! So full of flavor and goodness, and it's not every day one sees heart of palm in a salad. Really nice -- hope you had a terrific Easter Thanks! Hearts of Palm is one of my faves! 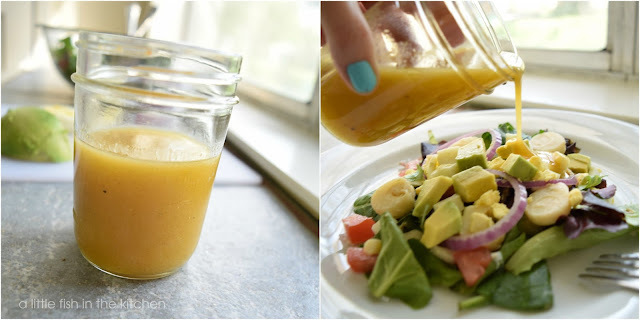 I have a favorite salad on my blog that I love and now I can't wait to try yours! And those flowers are fabulous! I have seen heart of palm but never used it. I will buy some now that I've seen your recipe! It looks light and fresh.